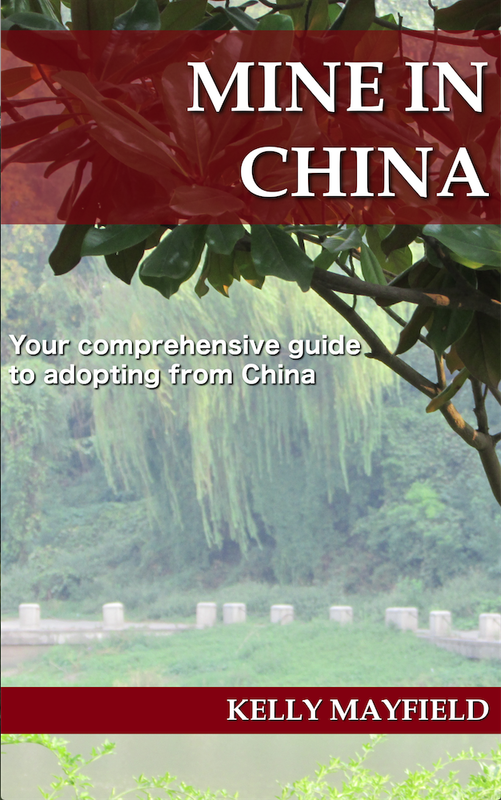 “Developmental delays” is a special need commonly found in files from China. This is not a special need which has a specific diagnosis like HIV+ or albinism. Parents often have a lot of questions about what this label means. Is it a minor or more involved special need? Are these delays the sort of thing that can be overcome with the loving attention of a family and specialized therapies? First, it’s important to note that in the early decades of international adoption, adoptive parents were often surprised to find that the babies they adopted were not meeting the normal developmental milestones. There was not a good understanding that children raised in institutions, who lack as much attention, nutrition, and stimulation as biological children, will not develop at the same rate. It was not until the late 1980’s that researchers began looking at the development of children raised in institutions. Most families beginning the process now will be probably be educated enough to know that they should expect a child raised in an institution to lose one month of development for every three months in an institution, as a very general guideline. This might look like rolling over at 6 months, sitting unassisted at 9 months, crawling at a year, and walking sometime between 18-24 months. It is because of this that some parents have the mistaken idea that developmental delays in a file is an easy need because these are simply “orphanage delays” that the child will overcome during the first months or years home. Developmental delay in a file means the child is more delayed in development than their (already delayed) orphanage peers. I cannot stress enough that this is not a standard label slapped on to every child’s file. Much of the information parents will encounter in process like shared family stories, or even information from agencies such as this recent blog post on an agency blog, gives the impression that this is the case for most children, maybe throwing in a short line at the end about how sometimes the delays are permanent. It is important for families to consider the full range of possibilities when deciding whether or not to adopt a child with developmental delays. What does it mean when China uses the “developmental delays” label? There are several possibilities. The child could have the developmental delay label because they have a medical diagnosis which causes those delays. Children with serious heart conditions or children with unrepaired cleft palate who are not receiving adequate nutrition are two examples of special needs where developmental delays can be an additional label in the file. The child could have an undiagnosed need which causes the delays. Cerebral palsy is one condition which is sometimes diagnosed once home in children with the developmental delay label. Genetic syndromes are not commonly diagnosed in files from China, but with chromosomal testing becoming more standard, it is not unusual for children with general developmental delays to be diagnosed with a specific chromosomal deletion or duplication once home. Some children really do need more individual love and care than they get in an institution to develop, even in the “best” orphanages. They have the equivalent to ‘failure to thrive.’ These children do often overcome their delays once they are placed in a family and after receiving targeted therapies. Finally, some children may have lifelong developmental delays but never receive a specific diagnosis once home, even after chromosomal testing. Developmental delays is such a catch-all label that you cannot generalize about an outcome. Without knowing the reason a child is nonverbal, you can’t speculate whether he or she will learn to talk after speech therapy. Even children with the same diagnosis can have different outcomes. For example, about 25% of people with cerebral palsy are nonverbal. If you are open to developmental delays as a special need, you need be open to the entire range of outcomes, including the possibility that your child will need lifelong care. It is essential to have a flexible attitude and the ability to cheer on your child’s successes without comparing him or her to their peers of the same age. Can we meet the medical needs of this child? What are the resources in our area for physical, occupational, speech, and/or feeding therapy? What is our insurance coverage for those therapies? How much time do we available for medical appointments, therapies, and working with our child at home? On an almost daily basis, someone will ask in a forum “We are reviewing the file of a 3/4/5 year old who isn’t walking/talking. Has anyone adopted a child with similar delays who overcame them?” I have to tell you that you are asking the wrong question. It does not matter how many other children overcame their delays. It only matters if this specific child will and no one in the world can tell you that. The question you to ask yourself is if you would love and cherish this child as a part of your family as they are right now, as presented in the file, or if you really only comfortable with the potentially improved child. This entry was posted in Uncategorized and tagged Adoption Resources on November 16, 2017 by minefam.